Dr. Orbinski is a globally recognized humanitarian practitioner and advocate, as well as one of the world’s leading scholars and scientists in global health. He is a veteran of many of the world’s most disturbing and complex humanitarian emergencies. He is a founding member of Medecins Sans Frontieres (Doctors Without Borders) Canada and accepted the Nobel Peace Prize on behalf of the organization in 1999. Creating the Space to Be Human Join the extraordinary journey of Dr. James as he travels the world in a quest to discover how we can become more “human.” He argues passionately that we must find a way to become more human in our increasingly small, global community. He promotes active and engaged citizenship, accountability for our actions and inactions, and the value of bearing witness and speaking out. He challenges audiences to consider what we permit ourselves, our community and our country to do when we keep quiet about atrocities, large or small. An Imperfect Offering: Humanitarian Action in the Twenty-first Century Dr. Orbinski explores the nature of humanitarian action and asserts that we all recognize that those people who have been failed by our systems, are humans with rights, and wishes and needs, who deserve our help and our compassion. Doctors Without Borders/Médecins Sans Frontiers – The Story Through his numerous roles with Médecins Sans Frontiers / Doctors Without Borders (MSF), including that of president, Dr. Orbinski has witnessed and served in some of the most tragic humanitarian crises the world has known: Somalia during the 1992-93 civil war and famine; Afghanistan in 1994; Rwanda during the genocide of 1994; and Goma, Zaire in 1996-97 during the refugee crisis. In this presentation Dr. Orbinski looks at the founding of the organization. He shares his passion for actively engaging in and shaping the world in which we live to make it more humane, fair and just. 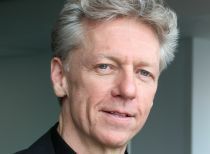 On Leadership and Vision Dr. Orbinski led Médecins Sans Frontières/Doctors Without Borders, ultimately accepting the Nobel Peace Prize on behalf of the organization. In 2012, he was named Laurier’s Centre for International Governance Innovation (CIGI) chair in Global Health at the Balsillie School of International Affairs in Waterloo. In this role, he continues to work to advance the health of people around the globe. In this presentation, Dr. Orbinski will draw on his decades of international humanitarian work to share the essence of what leadership means to him. Why What You Do and Who You Are Matters Fueled by seeing injustices round the world, from the failures in Rwanda, to the famine in Somalia and the war in Afghanistan, Dr. Orbinski shares the narrative of what he has seen and experienced, and how that inspired him to action. Confronted by pain, injustice, political and economic impasses, Dr. Orbinski had to make choices and delve within himself to define who he was as a man, a father, a husband, doctor and humanitarian. Choices may or may not be easy in difficult situations, but they must be made. He challenges to take on the responsibility to choose, to act and to be involved; in your own life and in the lives of others, to make the world a better place. By delivering a powerful and insightful speech, he contributed to shaping the very substance and significance of the discussion. Indeed his speech provided meaningful connections between the horrors of the past and the current humanitarian challenges - we are grateful for that. The feedback we received spontaneously from ICRC staff and others present at the event, almost invariably mentioned his speech as an outstanding highlight. An inspired and passionate speaker. He is able to tell stories in such a way that you stay open to it, even though the details would normally be considered horrific. He takes his audience on a journey with him. He was exceptional at weaving his stories and making them relevant to our organization - from hospice to humanity and what out real role is as citizens of Canada. A very thought provoking and thoughtful presentation. by all accounts, one of the most gifted and articulate speakers many in the audience had ever heard. He was gracious enough to stick around after the event, speaking to several people. He also took the time to weave our message into his own - something I was deeply grateful for. His moving and passionate speech… addressed the neglected needs, faced by too many around the world today, in situations of both war and social crisis and challenged us to use our unique position, as members of The Cochrane Collaboration, to respond to the needs of others less fortunate than ourselves.